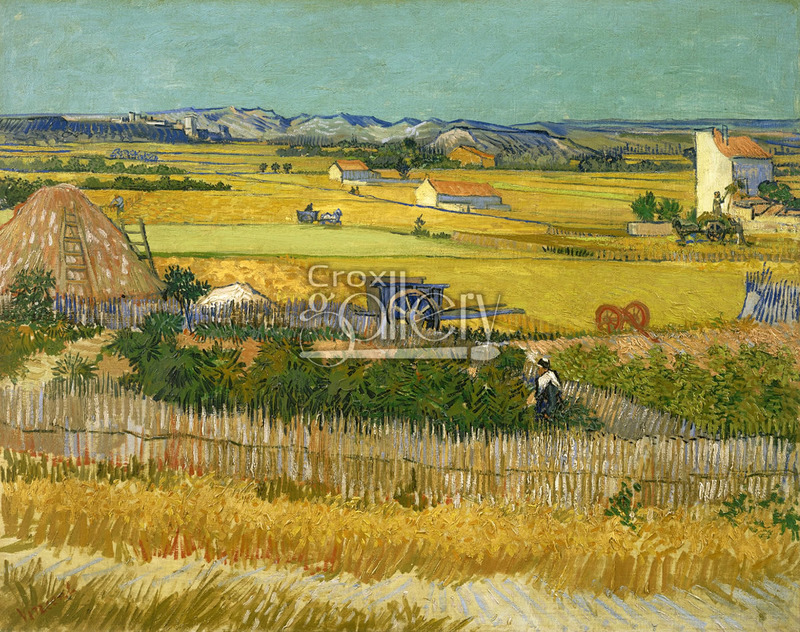 Painting "The harvest" by Van Gogh, replica of "La Moisson"
"The harvest", painted by Van Gogh in June, 1888. This painting is formed mainly of gold and warm blue shades. 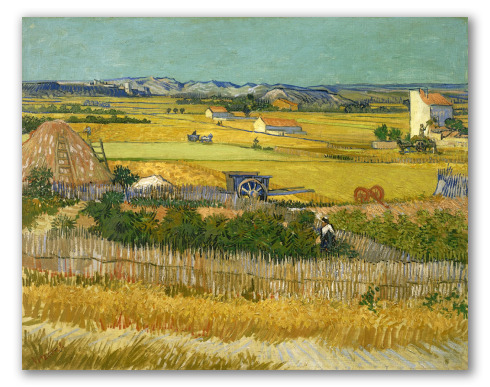 Vincent created this work of art in La Crau valley, on the outskirts of Arles. The composition was created by brushstrokes in all directions, meant to embody each figure contrasted against a smoothly colored sky. It is located in the Van Gogh Museum, Amsterdam.